I’m good, I’ve got a job, I’ve got a home, and I am learning at school in hopes of a well- paying career. Plus, I make sure to take some time to enjoy myself every day, mainly by reading, sometimes by exercising in the gym or doing yoga, and every now and again I watch a movie or a TV series. Also, I do take vacations once a year just to get out of town and go somewhere different. Every few years I go somewhere really amazing. 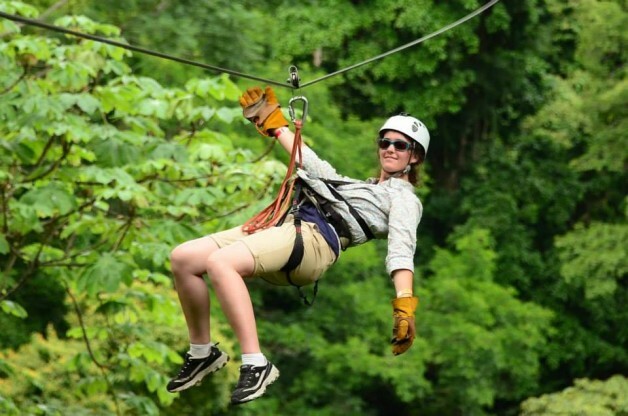 Like, just last summer, I went to Costa Rica for a week, which was awesome. It’s a great place to go, and the people there have a saying, “Pura Vida” which is Spanish for Pure Life. Which means it’s all a part of life. However, I do make sure to do my homework on time as well because the stress that a the bad grade I might get it is not a pleasant feeling. My parents always say that as long as you did your best, then whatever grade you got is fine, and in college you can take a class as many times as you feel like paying for it. But in general, when I do get stressed, first I try and correct whatever is stressing me out– for example studying more or doing homework sooner if my grade is low or trying to be at my very best if I made a mistake at work. But if there’s nothing I can do about the situation, then I try and take a step back and forget about it for a while. I mentally gather all of my thoughts, feelings, and memories about the situation, crumple them up into a ball, stick them in a box, lock the box, chain it up, and bury it in the dark corners of my mind where I won’t think about it. Then I read a story that I can get absorbed into to make sure that the memories stay in the dark. Sometime after I’m done with the story, I take another look at the memories, but this time the emotions that went along with it won’t be so overwhelming and I can look at the what happened a bit more objectively and decide what I want to do about it, be it ignore it or try and fix the problem. I think that process can be used by anyone with a problem that they don’t know how to handle. Although, I do suggest, talking to others that you trust and making sure that if it is something that needs to be taken care of, you take care of it relatively soon after the process. If the process does not seem to be working or the problem seems to big to just crumple up and throw away, I’ve heard that just taking a break and getting away from everything that is associated with the problem helps. Just take a vacation until you can handle it. Perhaps go visit Costa Rica.